Evaluate the performance and efficiency of the OpenCL-OpenGL(CL-GL) interoperability(interop) mode. Explore different methods to improve the execution performance of the CL-GL interop-based applications. We propose a slot-based rendering mechanism for CL-GL interop to increase the efficiency of the application. Design and implementation of a cache coherence protocol includes a non-coherent state for shared, modified blocks. Allows a seamless transition between memory consistency models that require coherence and those that do not. Implementation of filtering, motion compensation, and other image processing algorithms for a real-time ultrasound system. Research focus on improving the synchronization on GPUs with a hardware based synchronization mechanism in order to extend the applicability of GPUs to a broader class of general purpose applications. Hierarchical Queuing Locks(HQL) is hardware based synchronization mechanism that favors a blocking mechanism for efficiency and uses hardware based hierarchical queuing locks for scalability. Design micro-architectural techniques to improve the efficiency of SIMD execution on GPUs. In a general detection system we can distinguish different operations such as: sensing, segmentation, feature extraction, detection and post processing. One of its bottleneck is image segmentation phase, which takes more time and can define the accuracy of the final result. Therefore image segmentation is one of the most widely open research topic. My approach is to consider different algorithms that can later on being paralleled taking advantage of GPGPU architecture. Currently, I'm focusing on graph-based and CCL approaches, both of these two techniques can be speed-up using OpenCL or CUDA framework. Power-Performance Efficiency of different optimization techniques such as coalesced access, local memory usage, loop unrolling, etc. is evaluated on heterogeneous devices. Fast Fourier transform is used as the test application for evaluating the power consumption on GPUs, APUs and embedded SoCs with OpenCL support. 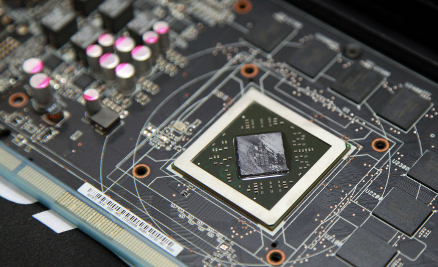 AMD Southern Islands GPU, AMD Fusion APU, Nvidia Kepler GPU, Intel Ivy-Bridge APU and Qualcomm Snapdragon SoC are evaluated for their power-performance efficiency. Phase-field model is a mathematical model for solving interfacial problems in physics(such as growth of snowflakes). Phase field approaches have long been restricted to the microscopic scale due to the small mesh size necessary to retain a reasonable accuracy. Porting Fortran/C implementation of phase field algorithm to GPU makes it possible to reach experimentally relevant length and time scales. Comparing with CPU implementation, GPU accelerated phase field algorithm achieved 30x speedup on a single GPU. Research looks at scalar opportunity and scalar-vector GPU architecture. I take advantage of scalar opportunities observed in GPGPU workloads to improve performance and power efficiency on novel scalar-vector GPU architecture. Valar benchmark is a new benchmark suite consisting of real world applications that effectively leverage heterogeneous devices. The main characteristics of these benchmarks is their data-dependent behavior and their usability to study interaction between computation and data movement on different heterogeneous devices. Haptic is a software framework that implements analysis devices as an extension to OpenCL to specialize algorithms and utilize multiple devices. HAPTIC provides extensions to OpenCL called analysis device for inserting optimization and profiling into a compute pipeline. HAPTIC supports discrete and fused platforms and we have used it to study the performance of analysis devices when integrated into applications where host-device behavior is coupled. Porting a three-dimensional finite difference time domain (FDTD) algorithm in Fortran to GPU using OpenCL programming model.